Blurb Description: Jack is a walking fossil. The only human among a sea of clones. It’s been hundreds of years since humanity died off in the slow plague, leaving the clones behind to carry on human existence. Over time they’ve perfected their genes, moving further away from the imperfections of humanity. But if they really are perfect, why did they create Jack? You know that book you have on your TBR – the one with a BEAUTIFUL cover and all the write plot points you love that you just can’t WAIT to read but for some reason or the other, don’t get to it for the longest time? Well, that is what Your One And Only was for me. I knew I wanted NEEDED to read this book ever since it started popping around on HMH Teen’s social media and when an AMAZING HMH publicist offered to send me an actual physical advance copy of Your One And Only, I JUMPED IN JOY! IN SHORT: Despite the fact that this book is slow paced, the intricate plot and writing make up for it in ways that I can barely explain. 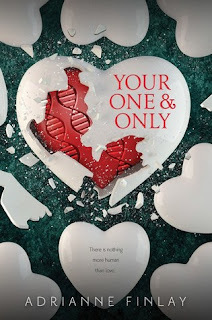 Your Only And Only redefines what it means to be human in a futuristic world where humans are almost extinct and I loved every second of this riveting tale. 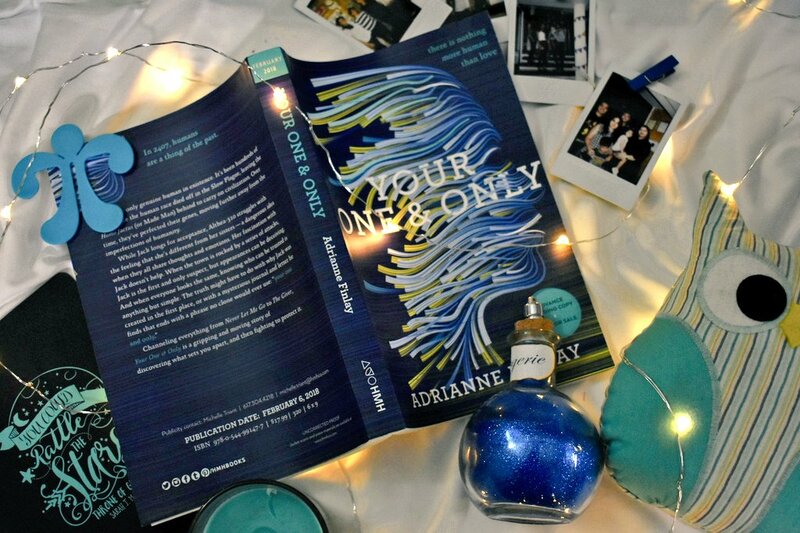 Your One And Only is Adrianne Finlay’s debut novel and the writing is SPECTACULAR. While the book is a bit slow paced in terms of the plot, Adrianne’s writing is what made this book come to life. The book alternates between Jack’s, one of the last human boys in existence, and Althea – 310’s, a three hundredth generation genetically engineered clone and it really manages to highlight what it means to be human and about compassion and humanity. Honestly, I went into this book expecting something completely different – maybe something fast paced and more like the last futuristic book I read (which was This Mortal Coil) in case you’re wondering. It did take me about fifty or so pages to get properly into Your One And Only, and also to fully understand the world the book was set in and get all of the different varieties of clones straight, but once I did, I fell in love with the book and what it was about. The reason this isn’t a five star book for me is PURELY because I wasn’t sure how I felt about that ending and a certain thing blowing up. Like WHAT DOES IT MEAN FOR THE FUTURE? It felt very open ended and WRONG at the same time to doom a species and I just wish it was handled better. I didn’t connect with any of the characters. As I think about it now, I liked Althea – 310 and Jack and Samuel – 299 and Nyla – 313 but I FEEL NO INTENSE FEELINGS ABOUT THEM. Maybe it was because I will never go through the things that they do in the book. I did LOVE the plot and how characters were named, though. Names like Carson 313 and Althea 310 really succeeded in giving this book a futuristic vibe. I wish the ending was done a whole lot better AND that the pace was a little faster, but at the end of the day, I thoroughly enjoyed reading Your One And Only. It was a one of a kind, intricate futuristic novel that I HIGHLY recommend! 4 stars. She is also an avid soap maker, and sells handmade soap locally to raise money for type 1 diabetes research. What are some of your favourite futuristic novels? Is the genre something you think YA needs more of? Have you read Your One And Only? What do you think of them?